Once debts are a certain age, the risk of being used drops dramatically. It is because debts can become time-barred after a certain period of time, depending on the law in your state. Time-barred debts are debts that are too old for creditors and debt collectors to sue you for. Each state has a law that dictates how long a debt collector can sue you for a debt. This period is known as the statute of limitations and is between three and six years for most states, but can be longer. Before you respond to an old debt, check the statute of limitations in your state. You can confirm the statute with your State Attorney General. The Fair Debt Collection Practices Act prohibits debt collectors from suing or even threatening to sue you for a time-barred debt, but that doesn't mean it won't happen. In February 2012, the Federal Trade Commission sued one large debt collector, Asset Acceptance, for violating this part of the FDCPA. As part of the settlement, Asset Acceptance now has included a "will not sue" notice in collection notices for debts that are past the statute of limitations. If you happen to be sued for a time-barred debt, you can provide the court with proof that the statute of limitation has expired. Don't ignore a lawsuit summons under the assumption that it will take care of itself or that it doesn't matter because the statute of limitations has expired. The creditor or collector could obtain a default judgment against you and an order to garnish your wages if you don't pay the judgment. Consult with an attorney to find out the best course of actions to take if you're sued for a debt, whether the debt is time-barred or not. Don't assume that because a debt is time-barred that you don't still owe ​on it or that your creditor can't still come after you for the debt. Creditors and debt collectors can still collect time-barred debts with calls and letters, within the bounds of the law of course. Time-barred debts might even appear on your credit report if the credit reporting time limit hasn't expired. Most debts can appear on your credit report for seven years from the date it became delinquent. If the statute of limitations expires on a debt before that seven years is up, the account will remain on your credit report. There are a few ways to handle a debt collector who's attempting to collect a time-barred debt from you. Request the Debt Collector Provide You With Written Verification of the Debt: This process is known as debt validation and should be done within 30 days of the collector's initial contact with you. After you send a written request for verification, collectors can't attempt to collect from you until they've provided proof that you owe the debt. Request the Debt Collector Stop Contacting You: If you don't want a debt collector to call or send letters anymore, send a written letter stating the statute of limitations has expired, and you no longer wish to be contacted about the debt. The collector can contact you once more to let you know what it intends to do next, if anything, and after that you should never hear from that collector again. 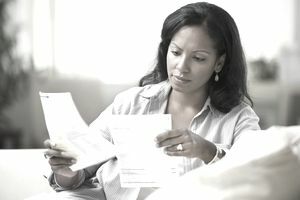 Ignore the Collector's Calls and Letters: Ignoring the debt doesn't make it go away, but you might choose this option if you don't want to bother with spending letters. Remember the debt doesn't go away just because you ignore it and make sure you don't ignore a lawsuit summons. Should You Fear a Lawsuit Even After the Statute of Limitations Is Up? How Long Can a Debt Collector Pursue Me for a Debt? Why is a Collector Calling on a Debt That's Not On My Credit Report?